Synonum: Physalis virginiana var. subglabrata. Smooth groundcherry is native of eastern North America. It can be seen growing from New York to Georgia on moist to mesic black soil prairies, openings in floodplain forests, thickets, areas along railroads and roadsides, abandoned fields and pastures, gardens and yards, and miscellaneous waste areas. 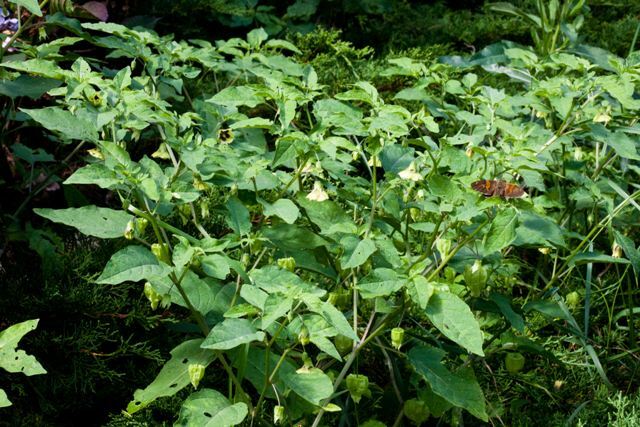 Smooth groundcherry plants prefer disturbed areas. An evergreen perennial shrub, 40 to 70 cm tall but can grow upto 1 m; stem erect, green, having 4 or more ridges, usually smooth, or have sparse small hairs, stem becomes woody with age. Leaves alternate, 15 cm long and 7.5 cm across, broadly lanceolate or ovate, tip pointed, margins entire to slightly serrated, often asymmetrical, petioles long, sometimes slightly hairy. Flowers solitary, axillary, on drooping pedicel, 2 cm wide, yellow with purple centre, petals fused and bell shaped. 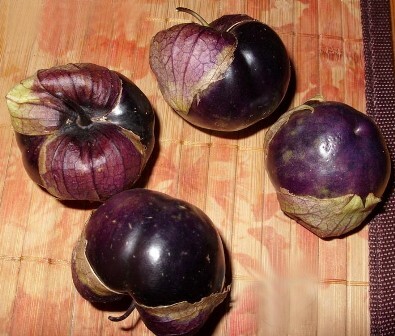 Fruits initially green, turning red, orange and purple at maturity; surrounded by a paper like husky case. Seeds yellow, small, flat and numerous. The fruits can be eaten. They look like tomatillo fruits but are slightly sweeter than those. 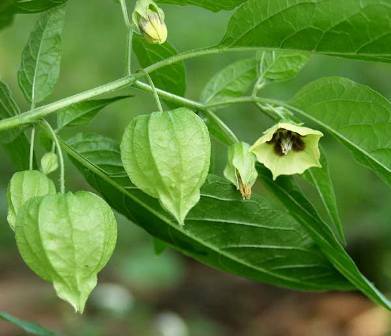 Smooth groundcherry plants prefer moist soils. If these are planted at places which are dry, then the leaves turn yellow and the plant may droop down. Partially shady locations suit more for smooth grondcherry. 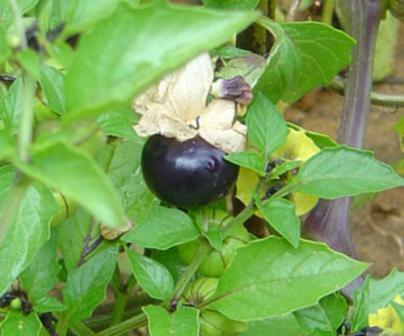 New plants of this fruit can be raised from seed as well as from the root tubers.